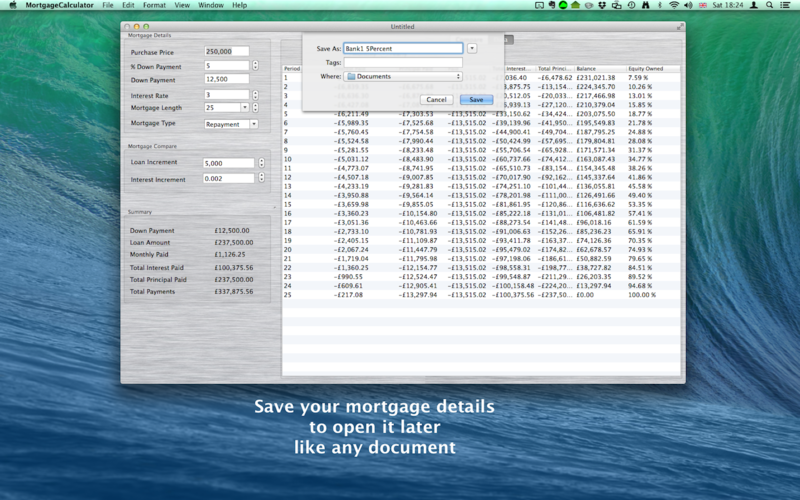 Mortgage Calculator calculates your mortgage payments instantly as you change values. 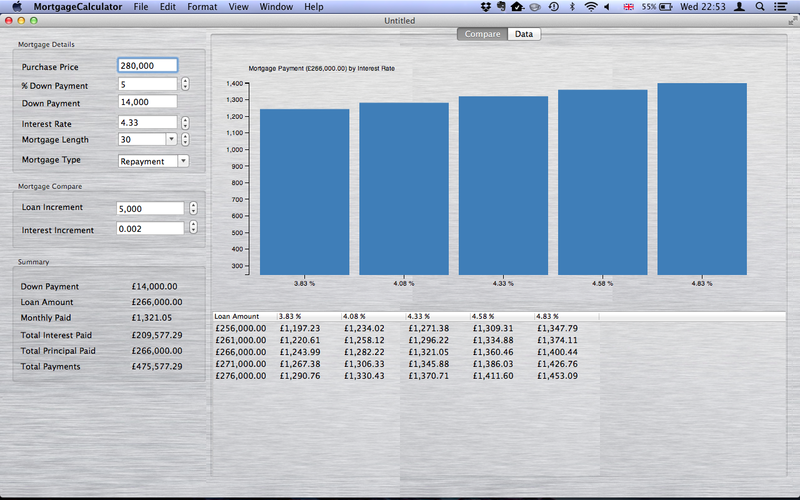 It will allow you see the mortgage summary, display monthly payments (amortisation table), compare and save. 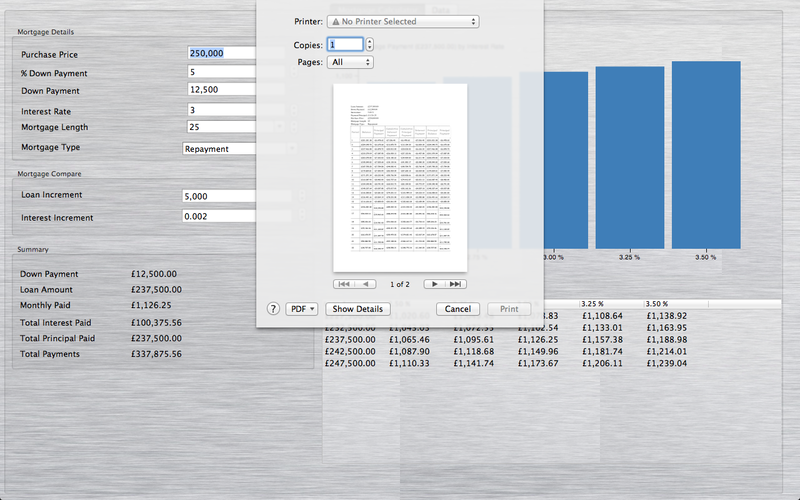 It will compare different mortgages in tabular form and in a bar chart. You can load or save the screens, so you can use it later, or use it to compare with other mortgage calculations that you create. Simply change the mortgage details to see all the information about mortgage payments. The summary will give you concise information about the mortgage, such as: down payment, loan amount, monthly payments, total interest paid, total principal paid, and total payments. 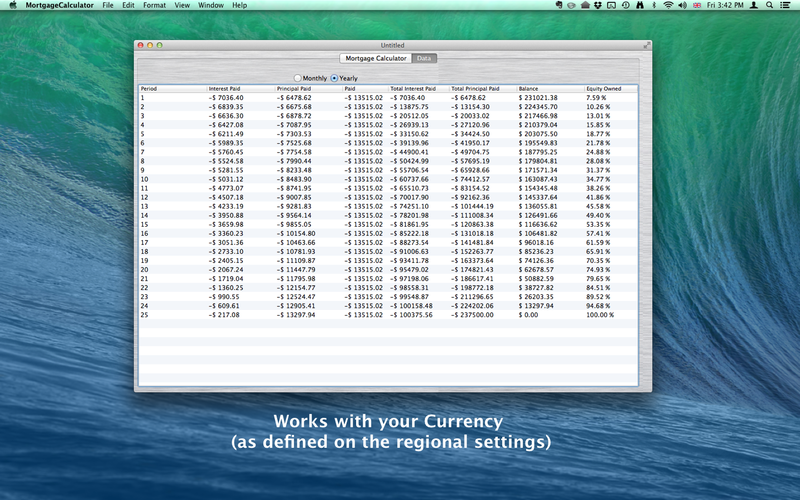 The data tab displays the amortisation table. It includes: the period, interest paid, principal paid, monthly payment, total interest paid to period, total principal paid to the period, balance, and equity owned. At each period row, you will get detailed information on remaining payments and committed payments. 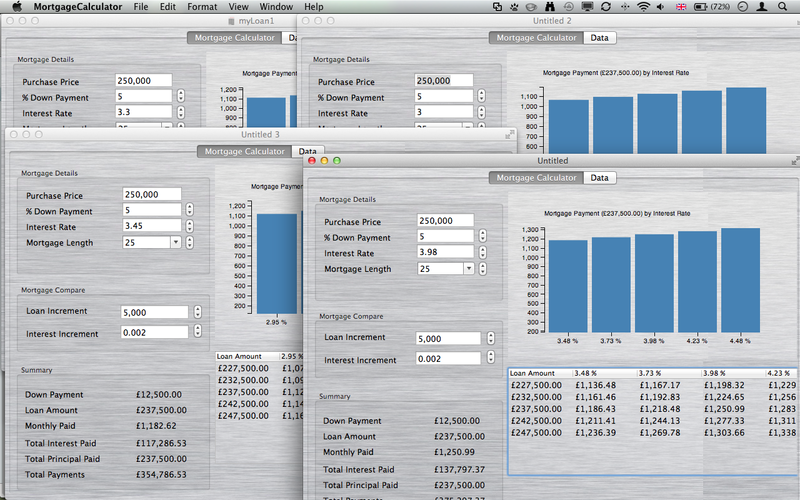 You will be able to instantly compare 5 similar mortgages. By changing loan increment and interest increment, it will display monthly payment differences on a table and on a bar chart. It also supports saving and loading of the loan. Multiple windows will allow you to compare different mortgage products and options which you can save and reload to use again at any time. Copyright © 2013 Codingday All Rights reserved.